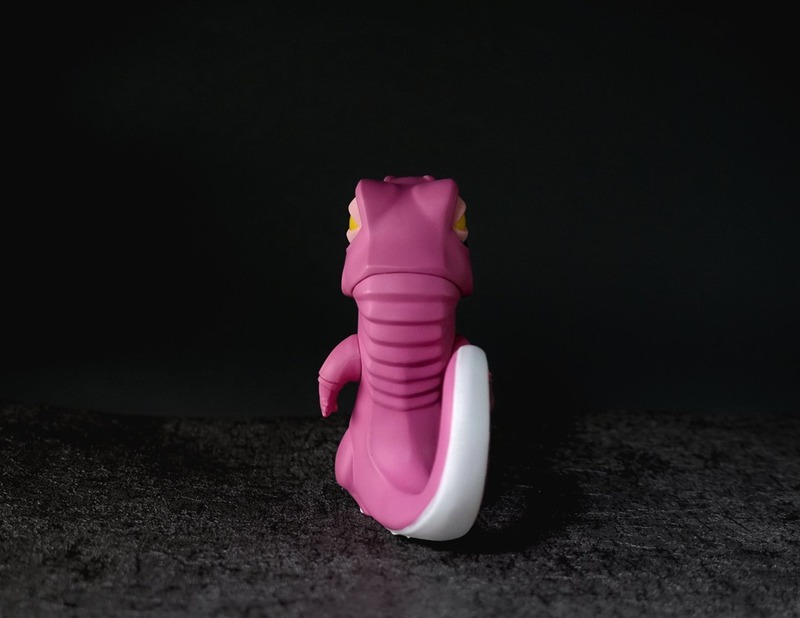 JPX is set to release their Halu You and Me Edition created in collaboration with Coarse. 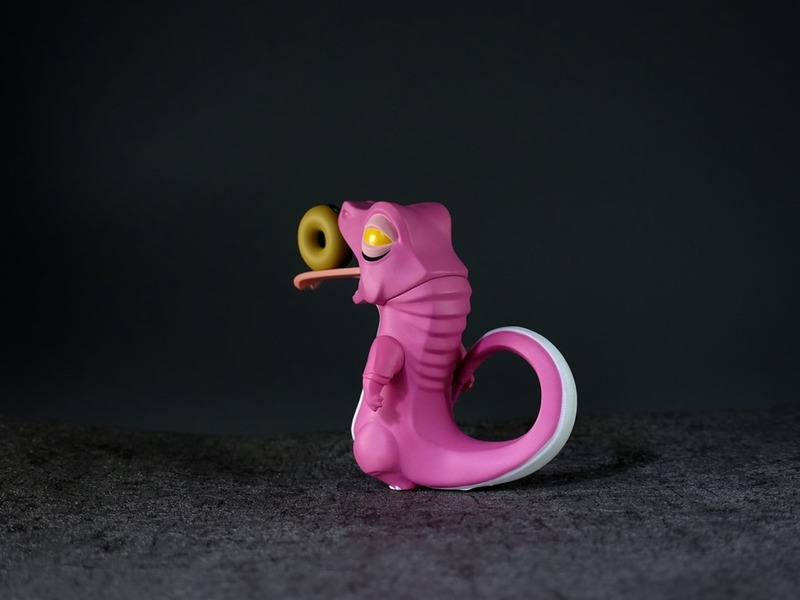 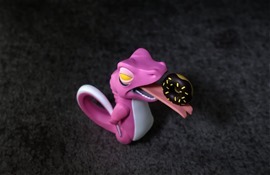 Featuring a pink + white design, the donut eating lizard arrives just in time for Valentine's Day for those able to pick it up in Thailand. 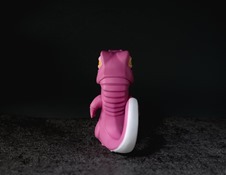 A follow-up to JPX's Kwaii You and Me (2015), the Valentine's-themed Halu (3.5", 600 pcs, 950 baht/~$30) will be released on Tuesday (2.12) at 10 AM at the J.P. Toys Gallery in Bangkok. 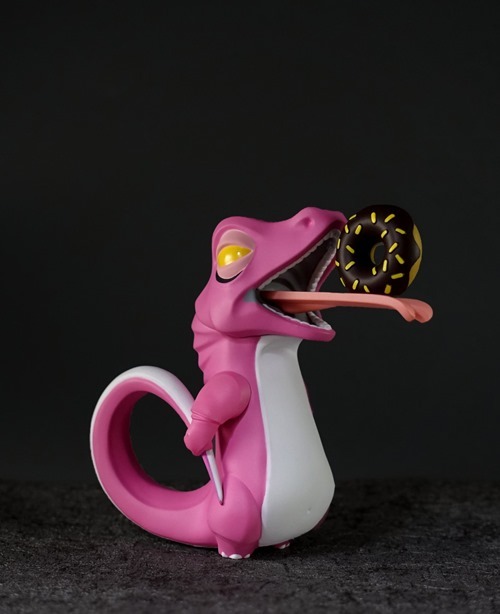 Online orders will be offered via a form posted to the JPX Facebook, presumably around the time of the drop in Thailand.